IOTA (MIOTA) is one major project advancing the Internet of Things (IoT). The blockchain project is converging countless number of ideas around IoT while strategically liaising with many a number of technology based firms to bring about more uses cases. It is hard today to rule out the important contribution that IOTA is adding to the world of technology, the same way it is hard to rule out the importance of air in human existence. The Internet of Things is one very area the technological world is facing at the moment. 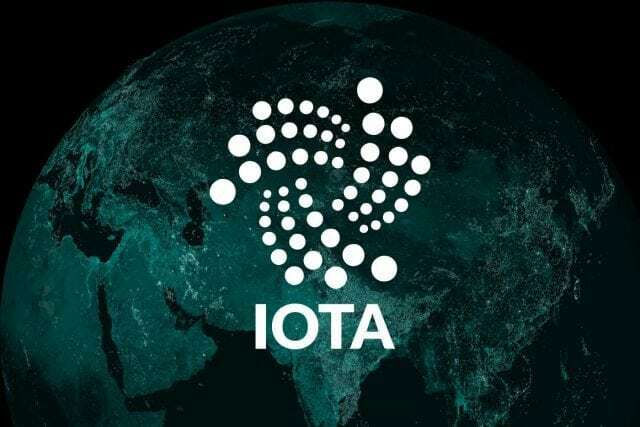 As we drift towards defining the necessary things to carry along in making the Internet of Things worthwhile, IOTA (MIOTA) presented its tangle, which is envisioned as a fast, fee-free, quantum-secure, and infinitely scalable backbone for interoperability on the Internet of Things (IoT). To then expand the area, there is no doubt that technology enthusiasts, who will introduce more use cases, add ideas, and expand the tentacles of IOTA’s understanding of IoT, are key. Be that as it may, different things are worth mentioning about IOTA, especially some certain moves that the blockchain project has made to enhance the IoT world. To produce products that are viable in the society, IOTA deems it necessary to hire Jakub Cech, a product manager and software engineer with deep understanding of learning algorithms, distributed systems programming, programming for parallel computing platforms, and cloud microservices. Jakub, once worked as a Program Manager at Microsoft, Norway where he was a contributor to projects social intelligence and intelligent analytics capabilities, which power Office 365 and other Microsoft products. The programmer, who is an experienced REST and low-level APIs designer worked at Kentico software before joining Microsoft. Jakub studied Artificial intelligence programming at the Faculty of Informatics, Masaryk University, Brno, Czech rep., and holds a degree in Economics from the same institution. Two days ago, Dr. Richard Mark Soley has joined IOTA foundation. Richard is the Chairman and Chief Executive Officer of OMG. He is also the Executive Director of the Cloud Standards Customer Council, and Executive Director of the Industrial Internet Consortium. Richard was previously a cofounder and Chairman/CEO of A. I. Architects, Inc., the producer of the 386 HummingBoard, and some other PC and workstation hardwares and softwares. He has diverse experience in the technology industry for the fact that he has served and consulted for various technology companies and venture firms on software related issues. Dr. Soley holds bachelor’s, master’s and doctoral degrees in Computer Science and Engineering from the Massachusetts Institute of Technology (MIT). The list of IOTA’s recently added team members won’t be complete without mentioning Michael Nilles, executive member of the Board of Directors and Chief Digital Officer (CDO) for Schindler, who also serves at the Supervisory Board of Deutsche Lufthansa AG. The digital innovator has 20 years of experience in the tech industry, spearheading digital innovation and enormous digital transformations for multi-billion industrial businesses. Also, Andrea Villa, has joined IOTA. He is a self-taught computer hacker, devops and entrepreneur, who has 15 years experience in system administration, information security and networks. He holds MSc in Networks and Operating Systems, hacked the TOMOYO Mandatory Access Control system, and contributed to the Android platform. Conclusion: IOTA sees the need to have round pegs in round holes, this is the reason the firm is hiring game changers in the tech world to itself. Next PostBitcoin (BTC) Price Watch: Heads Up for this Bearish Breakout!